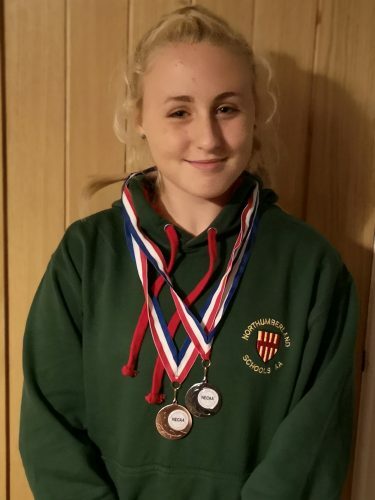 Alnwick Harrier Talia THOMPSON concluded her successful season with two more fantastic results at the North East Throws Festival held at Churchill Playing Fields last Wednesday night. Talia once again extended her own club records with personal best throws in the Shot Put (9.26m) and Hammer (20.74m) and took the silver and bronze medals. Talia has developed and improved throughout the season and whilst still only in the first year of the U15 age category has placed highly in numerous competitions. Over the winter Talia will develop her strength and technique and promises to be even more successful next year. 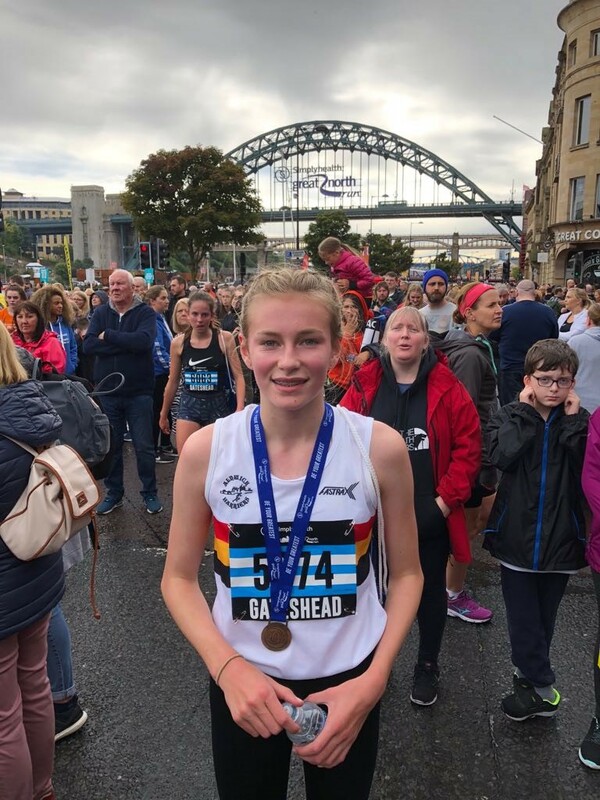 Lauren BROWN took part in her first Junior Great North Run this year taking on runners from across the country at the iconic event on Saturday 8th September. Lauren was one of the younger runners in the 13 to 14 age group category and faced tough competition over the 4km course. The race starts on Newcastle Quayside where the runners head upstream and cross the river by the Swing Bridge. They then complete a loop on the Gateshead side before running home past the Sage and over the Millennium Bridge. 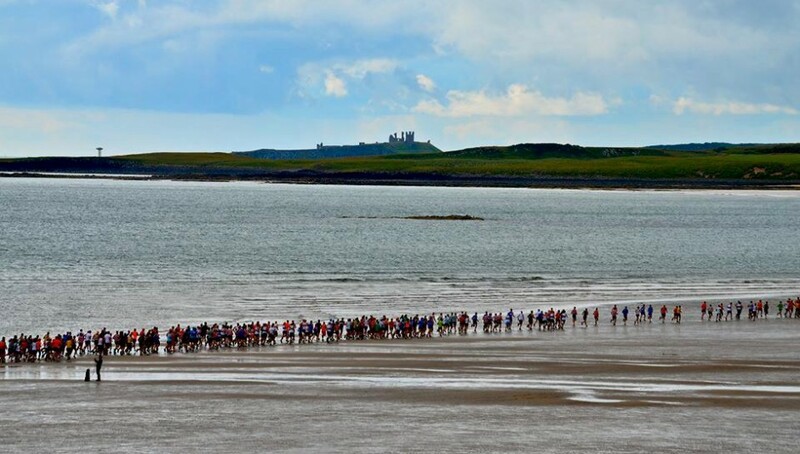 The race start was narrow and the girls had to compete hard for position before the first bottle-neck. Lauren held her ground over the first kilometre then slowly worked her way from 6th to 4th place before the final kilometre. Lauren maintained this position and enjoyed the run to the finish 4th in front of the large crowd in 15min 41s.